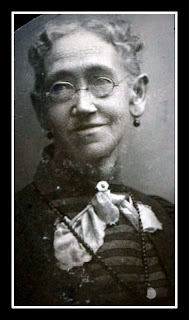 Ancestor Margaret Williamson McCreary (b. 1835, Ohio) was nearly all Dutch, plus she had some French Huguenot ancestors whose lines migrated through the Netherlands en route to America. Surnames in her ancestry include Van Voorhees, Schenck, Wyckoff, Van Ness, Van Den Burchgraeff, De Mandeville, Van Dyke, Brokaw/Broucard, Bogaert, Willemse, Brouwer/Brewer, Koning, Demarest, De Ruine, Verdon, Van Der Veer, Seuberinge, Van Nostrand, Van Nortwick, Andries, Van Arsdalen, Hendricks, Wilms, Van de Raede, & many more. We had only to identify Margaret’s parents and grandparents in order to connect to multiple ancestries outlined in the book “The Van Voorhees Family in America: The First Six Generations”.